I hope you all had a nice weekend! Mine was very busy but eventually I managed to find some time on Sunday to write this review :D Also I think I will have more time for the blog now so yay! Again, I'm sorry for the lack of posts in June, but I have lots of new things coming up very very soon so stay tuned! 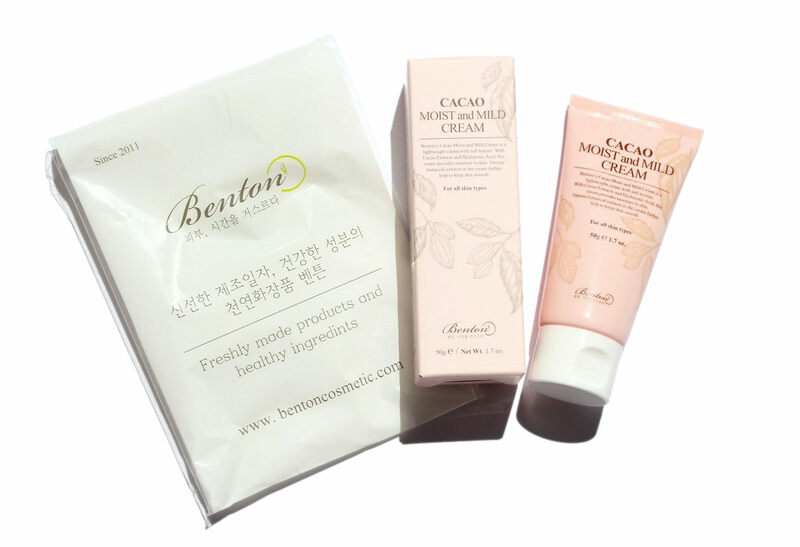 I received last week a package from Benton containing their new summer moisturizer, the Cacao Moist and Mild Cream. I actually applied for it on their website and was one of the lucky bloggers who received it :D As I had 7 days to review it, I'm already posting my first impressions here but I think it's quite easy to get an opinion on a moisturizer, so I think this will be my final opinion. Of course, if I change my mind, I'll update my review! 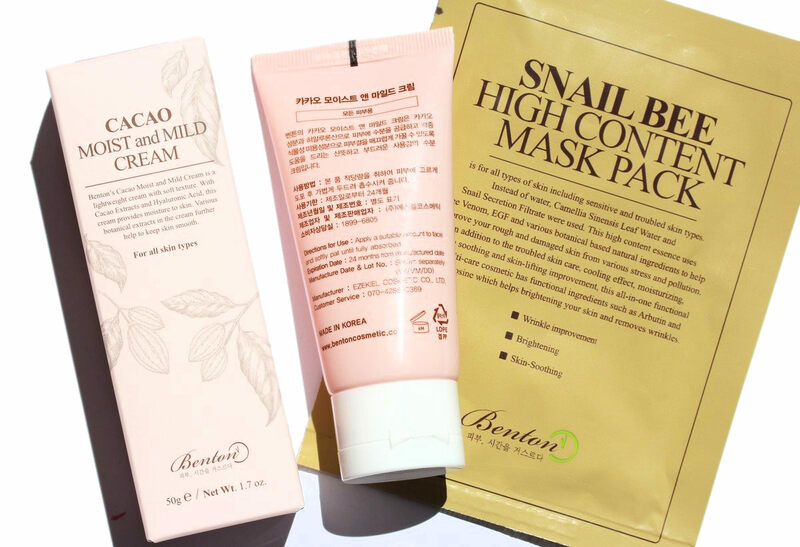 Benton is a Korean brand that focuses on natural ingredients and minimal, mild formula, particularly interesting for sensitive and acne-prone skin. "Benton’ is inspired by and named after the movie’ The Curious Case of Benjamin Button’ in which Benjamin Button grows younger with time. In the movie, Benjamin had no choice but to leave his love, Daisy as he becomes younger. What if Daisy could have also turned back time on her physical appearance, wouldn’t she be happier? It is supposed to have a light texture, to be suitable for summer, to have a moist finish and not matte, and its formula is mild. It also contains mainly naturally derived ingredients. This a slightly translucent white gel-cream. When you start spreading it, it feels watery and it takes 1 to max 2 min to sink in my skin and be absorbed. Once it's absorbed there is a slightly sticky feeling left that lasts for 1-2 min. It dries to a natural healthy dewy finish and feels overall nicely moisturizing! 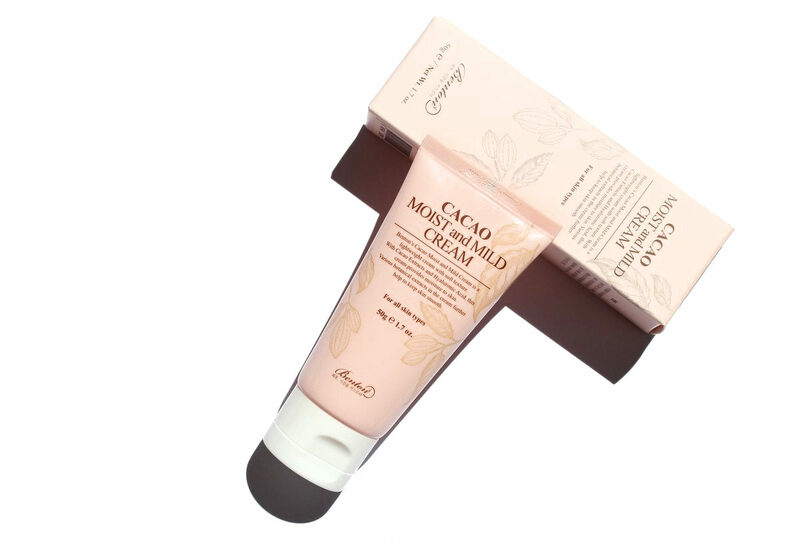 Cocoa extract and cocoa seed butter are the first ingredients of this cacao cream. Note that the first ingredient is a botanical extract and not water as usually in cosmetic products. That's already a good point and a constant in Benton products, they use lots of botanical extracts and try to avoid diluting them too much. Cocoa extract is well-known to be rich in polyphenols which possess antioxidant activities (there are hundreds of studies on the subject). They're actually involved in defence against external stressors like ultraviolet radiation (but they don't replace a sunscreen!) or aggression by pathogens. 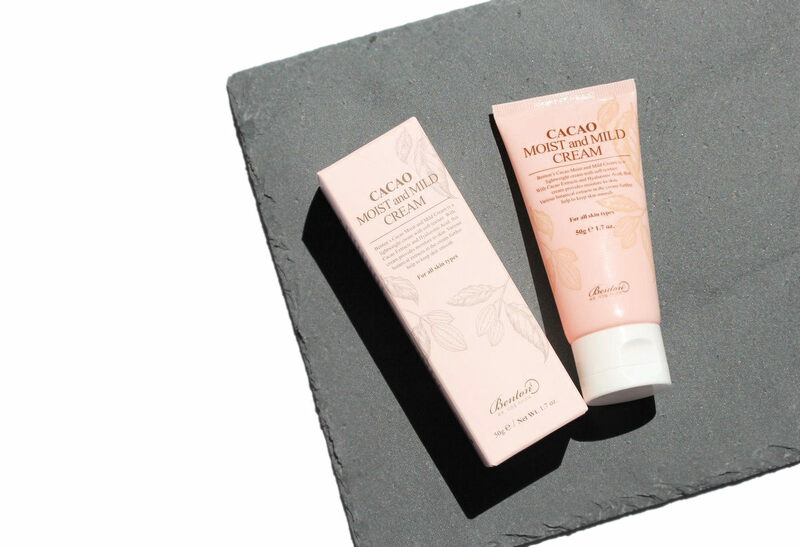 Cocoa seed butter contains a high proportion of saturated fats and is emollient, overall a great moisturizer! I found a study that tested the effects of cocoa polyphenols on several indicators of skin elasticity and skin tonus, namely, glycosaminoglycans and collagen I, III and IV (1, full text available). They showed that cocoa polyphenols cause an increase in epidermal thickness, an increase in collagen density as well as a clear increase in type I, III and IV collagen expression. 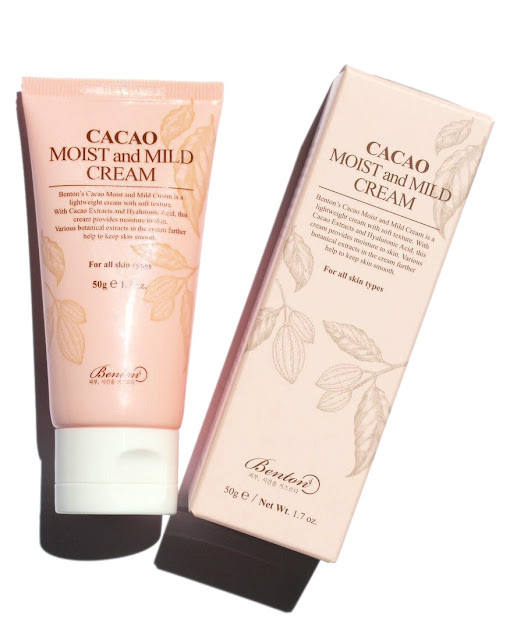 Moreover, when applied in conjunction with cocoa polyphenols, cocoa butter exhibits an enhancing effect on the parameters assessed, which means it's interesting to combine cocoa extract and cocoa butter as Benton did with this cream :D Note that this is a small study but results are nevertheless interesting. It also contains humectants (Butylene Glycol, Glycerin), emulsifiers (Sorbitan Olivate), solvents (Water, 1,2-Hexandiol, Pentylene Glycol), some botanical extracts containg antioxidant molecules (Zanthoxylum Piperitum Fruit Extract, Pulsatilla Koreana Extract, Lichen Extract), and Sodium Hyaluronate (a powerful humectant, great to bring hydration). It also contains Polyglutamic Acid that can strengthen the moisturizing ability of skin and prevent skin from drying. It is actually able to retain skin moisture efficiently and form a silky film on the surface of skin. Finally also present is Madecassoside (see my ingredient focus article about it HERE), a wound healing ingredient with anti-inflammation and antioxidant properties. 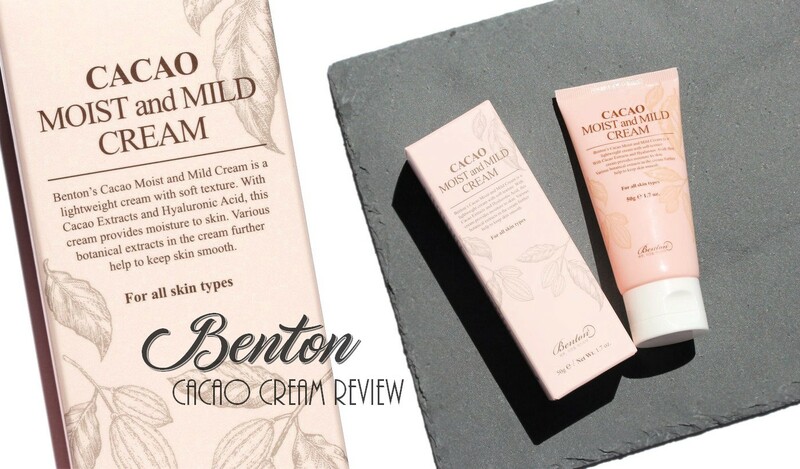 The new Benton Cacao Moist and Mild Cream is a lightweight moisturizer that feels watery and fresh when you start spreading it on the skin, After it has been absorbed it leaves the skin moisturized and supple. Despite the lightweight feeling, it does provide a good amount of moisture, probably due to the cacao seed butter. For me there is really this 2 step process: first I feel the hydrating part of the cream and once it's absorbed I can feel more its moisturizing properties, and it feels a bit heavier on the skin but it doesn't make my skin greasy in any way. It's a bit hard to explain but after getting the first hydrating boost and after the cream has been absorbed, I can feel my skin moisturized as if I had appplied a heavier cream. By the way, my skin is normal to slightly combo. 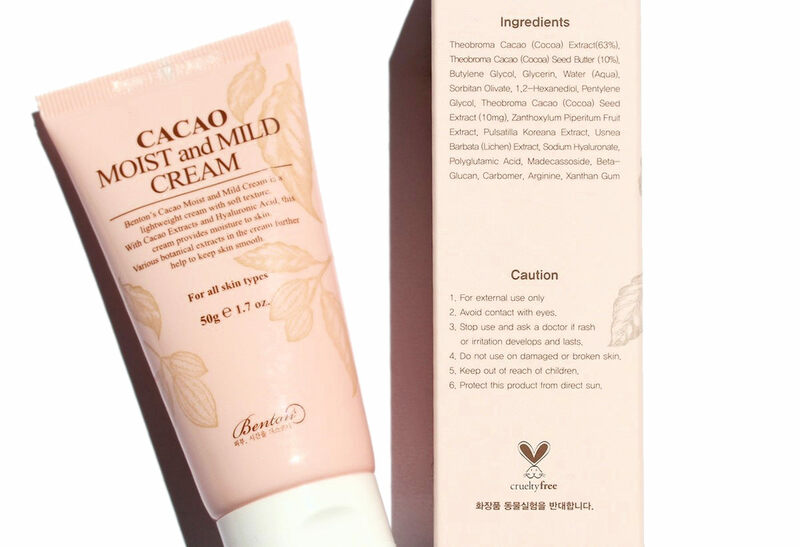 I particularly love the ingredient lists of this cream, it contains a large proportion of cacao extract and cacao butter (1st and 2nd ingredient) and it feels overall very gentle on the skin and lightweight. Cacao extact is antioxidant and could also help increase epidermal thickness and promote collagen expression. So overall pretty good, right? There are also some humectant including sodium hyaluronate, some botanical extracts and madecassoside! So yes, I'm very happy with this gel-cream and I could repurchase it because it does a great job at moisturizing my skin, feels very nice, and it's rather affordable ($16 on benton website). This sounds like an amazing moisturizer! I'm always looking for new brands to check out, so I'll have to add this one to my list! Thanks, happy to hear you seem to like it! Benton is a great brand! 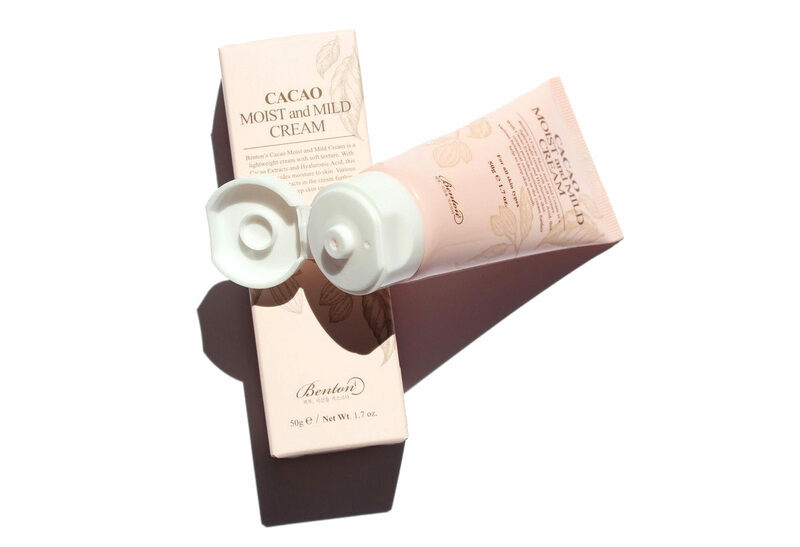 I love Cacao butter in skincare but for the face, it does not like me! I might order this though because it seems like a very light formula so it might be more suitable for my skin! Such a great review of this moisturiser. The ingredients list sounds really great. 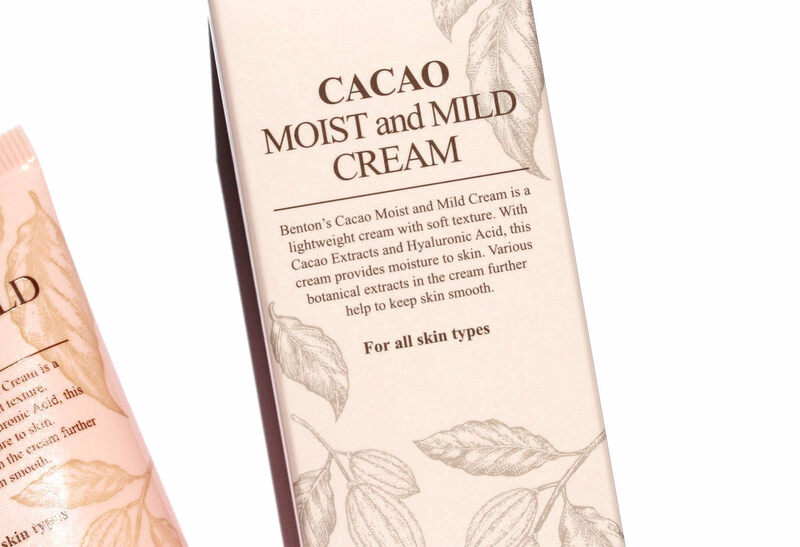 I love that the first ingredients are Cacao extract and Cacao butter... sounds super rich and hydrating. My skin would probably love that. I also like that they have given the percentages of each ingredient - I haven't seen that very often. I might have to try this one out - thanks for sharing! The packaging on these are so nice. I'd be interested in trying them. Oh what have you tried? I love their aloe propolis gel! Very interesting, I loved how it doesn't contain any fragrance. I have a sensitive skin, although some of the products that contains fragrance doesn't bother me. But I would always prefer fragrance free products. First of all, your product shots are absolutely beautiful!!! #goals I love how your review is so in-depth and informative! The moisturizer sounds great!